Matthew is a Faculty member in Strategy at GIBS, and previously was the Head of Strategy and Africa Deal Strategy Leader at two global advisory firms. He has close to 20 years’ experience within strategic advisory. Having led high deal value local and international engagements in Sub Saharan Africa, Middle East, East Asia and Europe. Matthew has been responsible in scaling client businesses as well as driving growth agendas. Having lived in these territories he has first-hand knowledge of the contextual business environment allowing him to tailor appropriate solutions for businesses seeking to drive profit in a sustainable manner. Matthew focuses on Emerging Markets and has provided solutions around the assessment of the viability of firms with a particular focus on commercial due diligence of corporate entities participating in a Merger or Acquisition. Matthew lectures on senior Executive programs and MBA classes in various institutions, presents at public forums as well as being a commentator on CNBC Africa, Bloomberg Africa and CCTV-9 news in Beijing. 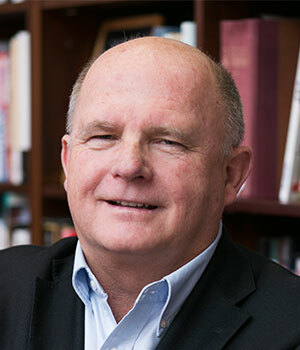 Nick Binedell is the Founding Director and Sasol Chair of Strategic Management of the Gordon Institute of Business Science, a Business School situated in Illovo, Johannesburg and established in January 2000, by the University of Pretoria. After an initial career in the industry in the Mining and Manufacturing sectors in sales and general management in the Barlow Rand Group, Nick has focused his career for the past 20 years in the area of business education. In 1998 he was invited to establish a new business school focused on meeting the individual and corporate needs of business in South Africa. The school has rapidly established itself as a leading business school in South Africa with a strong focus on partnering with leading South African corporates and providing a high level of local and international business education. It was recently ranked as one of the top 40 global executive education providers by the London Financial Times. Nick is a determined traveler and explorer. His earlier roots included extensive travel and by the time he was ten he had lived in Zimbabwe, Germany, Yemen, Kenya, South Africa and Britain. He has spent five years in the United States and in the past three years has traveled to Sydney, Shanghai, Dubai, Prague, Budapest, Lagos as well as European and American cities. His area of expertise is in the field of business strategy formulation and his academic and consulting work, although dominantly in South Africa, includes work in the United States, Europe and Australia.